The seminar is open to PESA members and their pre-registered guests as space is limited. Cost is $65 per person for members and their guests and $80 for non-members. Registration costs include the luncheon and self-parking. For event or membership information, please contact the PESA office in Houston at (713) 932-0168 or email meetings@pesa.org. Watch the following video where former Texas A&M football coach R.C. 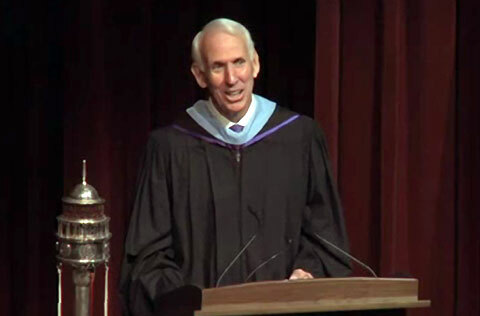 Slocum delivers the commencement address to Texas A&M graduates on Aug. 12, 2010. R. C. Slocum served as head football coach at Texas A&M University from 1989 to 2002, winning more games as coach than anyone else in Texas A&M Aggies football history. Slocum was inducted into the College Football Hall of Fame as a coach in 2012. Playing Field Promotions is a booking agent for motivational sports speakers and celebrities. If you would like to book R. C. Slocum for a speaking engagement or personal appearance, contact R. C. Slocum’s booking agent for appearance & speaker fees at 1.800.966.1380.